With up to 18 cores as well as Hyper Threading the Core i7- and Core i9-series CPUs bearing the codename "Skylake-X" represent Intel's new flagship processors in the consumer market. With up to 44 PCIe-lanes for multi-GPU systems, socket 2066 processors belong amidst the rarefied segment of truly enthusiast-level CPUs alongside their accompanying X299 motherboards offering up to three M.2 slots connected via PCIe. These slots enable compatibility with extremely fast NVMe SSDs as well as many other components offering high-end features. Skylake-X processors also offer an unlocked multiplier and are overclockable to provide even more gaming power! 12 physical cores, 24 logical cores thanks to SMT! The Intel Core i9-7920X offers an incredible 44 PCIe lanes for GPU connectivity as well as allowing NVME-SSDs direct access to the CPU and maintains a 2,9 GHz base clock. When required this CPU can activate all cores with Turbo Boost 2.0 and increase the frequency to a maximum 4,4 GHz. Thanks to the unlocked multiplier the Intel Core i9-7920X can also be overclocked even further. Sufficient cooling is important for overclocking since the TDP of the CPU reaches 140 Watts prior to overclocking. Intel's Advanced Vector Extensions (AVX) are instruction set extensions used in SIMD calculations (Single Instruction Multiple Data). SIMD enables a CPU to carry out multiple calculations simultaneously, doubling the AVX/AVX2 instruction set extensions by means of the expanded 256-bit (previously 128-bit) SIMD register. AVX-512 allows the register bandwidth to be raised to 512-bit, thereby markedly increasing the computational power of individual CPU cores. Apart from the unlocked multiplier, Intel Extreme CPUs offer additional overclocking features. Access to the PEG/DMI allows PC enthusiasts and overclockers to alter the PCIe Clock independently of the CPU's Base Clock in order to increase PCIe bus bandwidth. Extreme overclockers can even overclock the RAM via PLL Trim Voltage using IMC fine tuning under LN2 (liquid nitrogen) with ease. The 12 cores of the Intel Core i9-7920X are essentially doubled, meaning up to 24 threads can be processed simultaneously by this extreme CPU. As a result the Intel Core i9-7920X is not only a true performance beast in all things gaming, but also - thanks to its 24 threads - renders high-resolution 4K videos and VR content with ease. The maximum of four DDR4 modules in Quad-Channel and 2.666 MHz without overclocking, something which can be done on nearly all compatible motherboards. Behind the extreme performance and computing power of Skylake-X CPUs lie a multitude of optimisations when compared with Broadwell-E. This, for example, is how Skylake-X provides 1,735 MB L3 Cache per core in comparison to 2,5 MB/core in Broadwell-E. Achieving this required a markedly faster L2 Cache, quadrupling Broadwell-E's usual 256 KB/core to 1 MB. Additionally the CPU Cache benefits from an optimised, mesh-like cross-linking of the memory, allowing every CPU core to directly communicate with other cores. This reduces the need for L3 Cache. Besides the L3 Cache shared by the cores, every core is provided with a larger amount of L2 Cache, which also has the effect of reducing the need for L3 Cache. As well as support for the renowned Turbo Boost 2.0, "Skylake-X" CPUs also support Intel Turbo Boost 3.0. Turbo Boost 3.0 optimises one to two CPU cores for single- and dual-threaded performance in poorly parallelised applications and can therefore significantly increase clock-rates in single/dual-core mode. This allows games and applications suited to single- and dual-thread performance to be driven at improved clock-speeds. Skylake-X- and Kaby Lake-X CPUs also provide support for Intel's Optane Technology and compatibility with third-gen Thunderbolt 3. Thunderbolt 3 enables, thanks to its 40 GB/s bandwidth, up to eight times faster data transfer speeds than USB 3.0 and allows up to six devices to be daisy-chained together via a single Thunderbolt 3 port, including two 4K/UHD displays. Attention: This boxed version of the processor does not include a CPU cooler in the bundle! 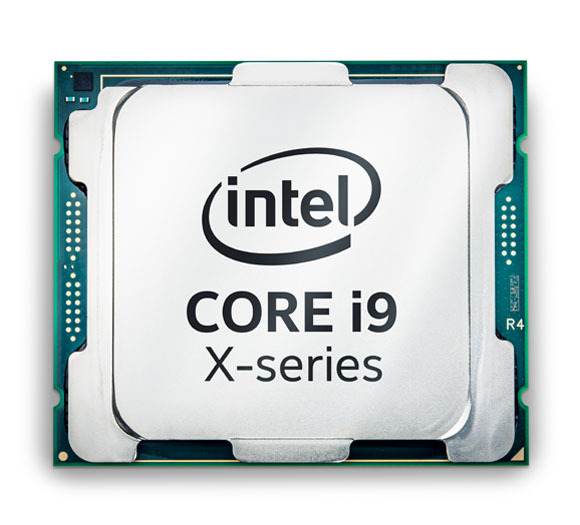 More links for "Core i9-7920X 2.9GHz (Skylake X / Basin Falls) Socket LGA2066 Processor - Retail"